Open House is Canceled. Location! Location!Location! 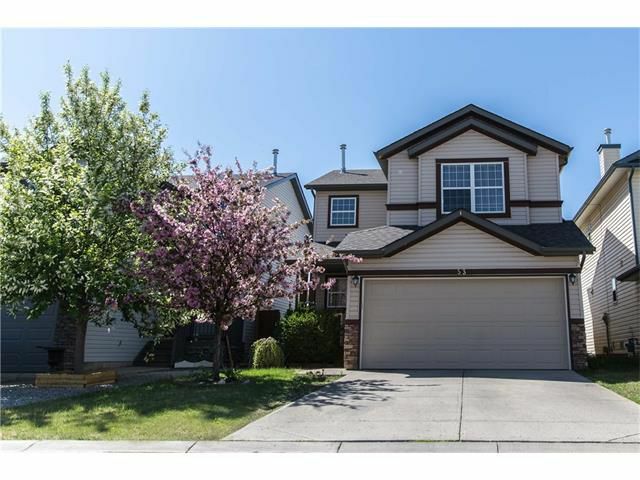 This Wonderful 3 bedroom, freshly painted house with bonus room and double attached garage suited in the desirable community of Evergreen. Main level is very bright, open floor plan, spacious kitchen with eating area and living room. The living room boasts a corner gas fireplace and is perfect for entertaining. Laminate flooring throughout the main level, brand new front entrance door and patio door. Upper level offers a large bonus room and three bedrooms. Master bedroom features an en-suite and walk-in closet. Brand new patio door provides access to the large back deck w/steps down to huge fully fenced yard and gate to the back lane. The Gazebo on the deck is included, and will make you happy on the sunny, south facing back yard. Close to schools, public transportation and shopping, making this property as a perfect buy to call it home. Don't wait! For viewing call us or your favorite realtor today.